The exchange highlights how the administration is interested in dealing with the reality of the threat at the border, while the party of resistance has no interest in truth. 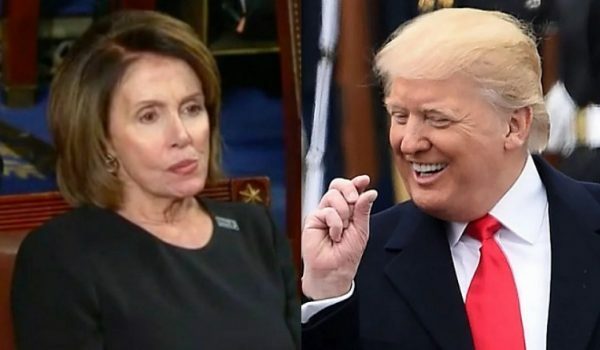 The biggest point of contention for Pelosi and the Democrats seems to be an unwillingness to accept the fact that terrorists with evil intent for American citizens may be trying to enter the country. 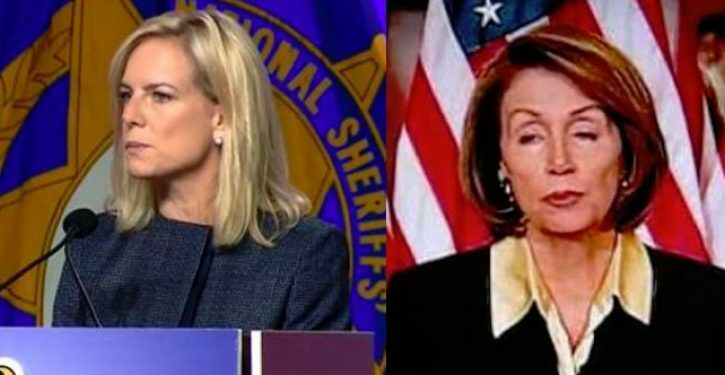 Nielsen explained to lawmakers in attendance that border officials apprehended 17,000 criminals last year, including 3,000 people with terrorist ties. Guatemala President Jimmy Morales claimed that his administration had captured “close to 100 people completely linked to terrorist issues, with ISIS,” within days of the caravan reaching Mexico. Additionally, a suspect in a 1987 bombing that wounded six American soldiers in Honduras had led another migrant caravan demanding entry into the U.S. or payments of $50,000 to each would be illegal. Democrats would do well to listen to Nielsen, who has a breadth of facts at her hand. Otherwise the next loss of American life at the hands of an illegal alien will be blood on their hands. Rejecting facts isn’t going to make the reality of the terrorist or criminal threat simply disappear.